Brigg Millennium Green is providing a headache for the local councils as they consider future management of the site. The area was created in 2000 to mark the turn of the Millennium and for much of the time since was managed by a volunteer group known as the Millennium Green Trust. However, that group has disbanded, as the old volunteers gradually stepped down, and ownership of the Millennium Green has been returned to North Lincolnshire Council. 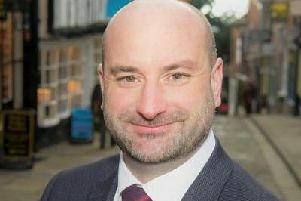 Brigg Town Council has told North Lincolnshire it is willing to consider taking over the lease, but the legalities are taking much longer than anticipated. A key issue is over maintenance and whether a one or three year contract for that should be awarded. This Service Level Agreement however cannot be fixed until legal issues over ownership are resolved. North Lincolnshire Council will continue with maintenance, including summer grass cutting, until things are sorted.